The scenery is absolutely stunning! And the trucks too! This game looks so damn cool! 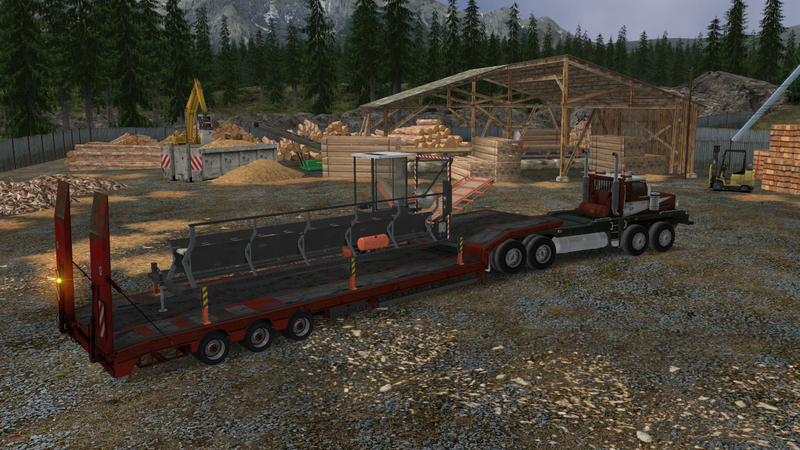 I want to see more of Euro Truck Simulator 2 than Extreme Trucker!! Heyhey wait a minute. Great pictures. But its something i dont like here. 1st look at the last pictures. is there that wide roads with yellow stripe in the middle in real life. its small roads. Make it challenging. And i hope its not that you have to take missions and then have to switch truck all the time. Its much better you have one truck that you own. Or else great game. but think realism here scs. i think most people will like it chanllanging. PLEASE READ THIS SCS SOFTWARE! GIVE IT A CHANCE!!!! 2nd picture looks like its getting ready to unload so. so they finaly added the parts where you can see them unload the trailer? Looks very nice, but I'd be much happier if you made a new, American 18 Wheels of Steel game with this next-gen SCS graphics and realistic road system. this game looks same as ET1! im sorry but it is! all i can see so far is that terrain looks nice. i like new cargos but so fat thats it. actually graphics for me is in last place! if this is a Extreme Trucker 2 make players to be afraid to crash in other car or something like that..
like in some other racing games... so people who are playing have to try there best not to crash there truck (rollover) and make a delivery. well you know what i mean. make it Extreme! btw that thing in ET1 with ice braking was good! but after 10mins of playing i know exactly where ice is going to crack and thats a bad thing! But I agree ... Concentrate more on gameplay, and physics. SCS, please more of the ETS2 and less of ET2 PLEASE!!! Both games will have the same graphics engine??! Because then I would be very sad! There will be no dynamic shading? I hope the ETS2 will be better because it is a disappointment for the game based on pictures! CDMC you are right about all that stuff! Whats important is gameplay and handling! btw your ALH fixes and other mods/fixes are awesome! you're like a SCS game fixer..lol! PS. Thank you SCS for posting all those forums/websites!! thats how i found your fixes page! 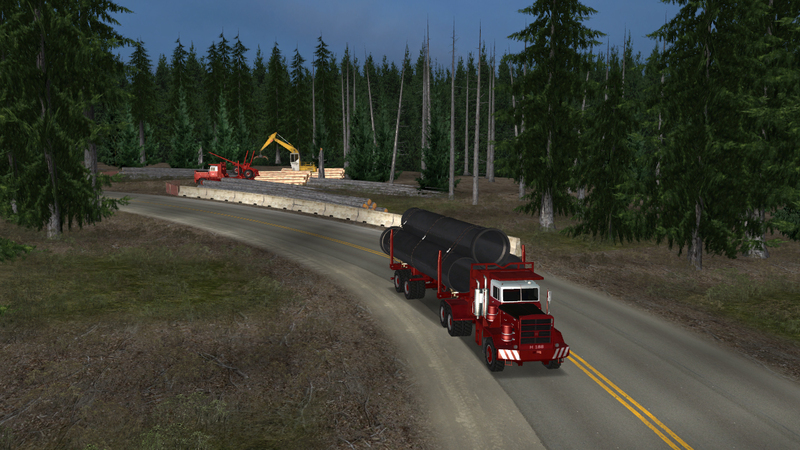 the creator of vtc-tea.com is on the making of this really cool map "mexico-usa-canada map v5.0 extreme" for the haulin version of 18 wheels of steel, and it look's extreme! When the 18 Wheels will be Released? Great SCS, I think that the ET2 will be and maintain another way of trucks games. Different of the others, ET series bring to us another way to play!! So, I sent an e-mail to your "general information" e-mail address a couple of days ago (info at scssoft dot com) but haven't received any response yet. Is that e-mail address valid at all? If you received my message, could you please help me out by sharing some info I asked in it? @SCS: So devs, have you received my e-mail? I hope this light/shadow effect will be in ETS2! please not this truck again!!!! 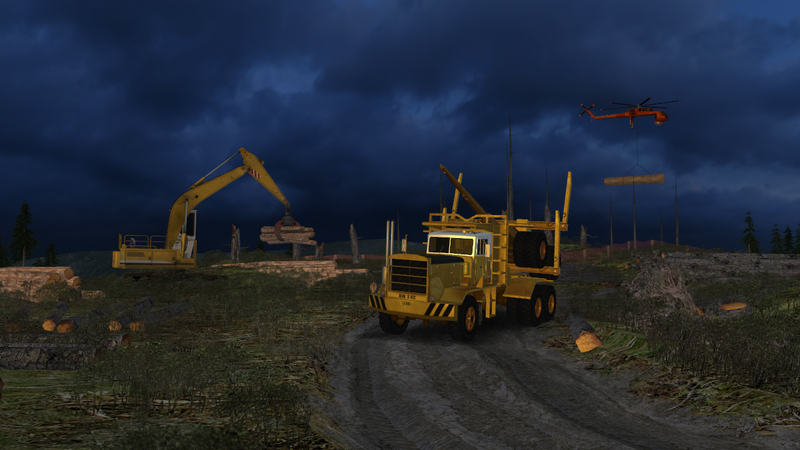 Given the technological gains made in just the last two years I can't see why scs couldn't make a logging truck game whereby the weather would play a big part road behaver (mud etc.) and the road dictating the behaver of the truck. Also in dry conditions there should be dust and lots of it even on the trucks. There should be a recovery system whereby another truck or bulldozer drags you back up the mountain and onto the road if for some reason in extrem dry and dust or mud the truck left the road. There should be heavy machinery loading the trailer and the terrain should be mountainous, and I mean klm's of switch backs as in the real world experience. after all these games are supposed to be "simulators" are they not. If I thought the sim was good knowing some of the above so in the game, I would part with good money for such a sim. So how about it scs!?! 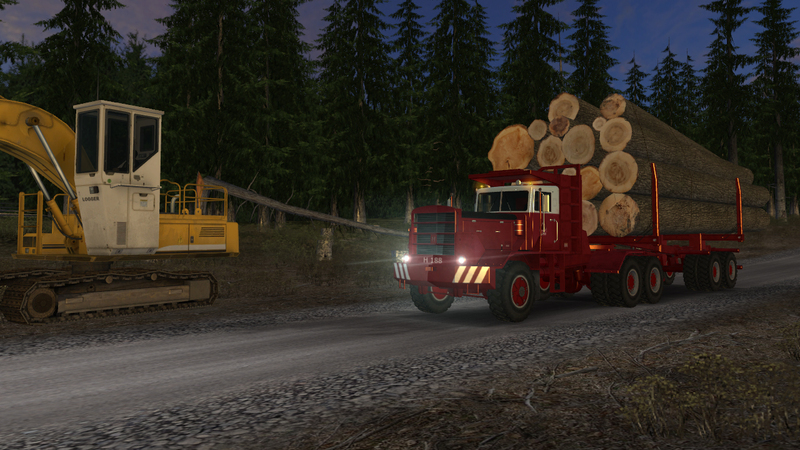 American logger is bette than he logging truck so I like to see america logger truck. sorryy may english ie very bed! Great job guys. 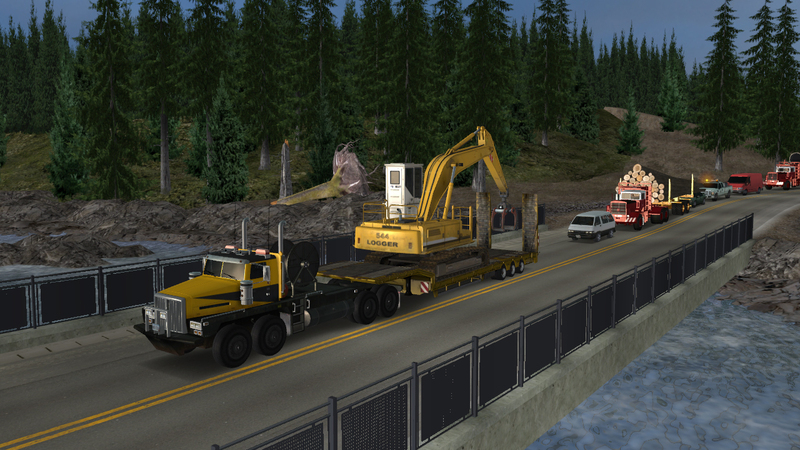 The water effect is magnificent, trucks and roads amazing realism. just one thing, those clouds!! they do not match the contour of the earth and going toward the orizonte They look flat infront of you. And I'm a bit dissapointed that I can't switch to KM/H.